The last of 195 F-22A Raptors for the US Air Force is now under construction, yet the entire F-22 fleet remains grounded over concerns about the pilot's cockpit breathing system inside the cockpit, which has been under investigation since November 2010, when an F-22 crashed mysteriously in Alaska. No emergency call was received from the pilot, and the assumption is that he passed out from oxygen loss before the crash. It’s a major blow as, without oxygen, Raptor pilots can’t fly at high altitudes. 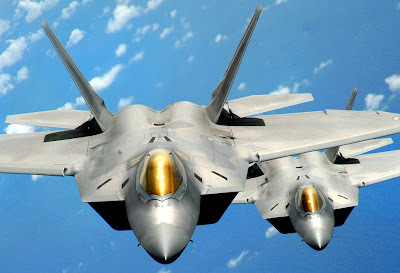 Yet technically, the F-22 remains the most advanced fighter jet on the planet, but its place is largely taken for the time being by the older F-15 Eagle. 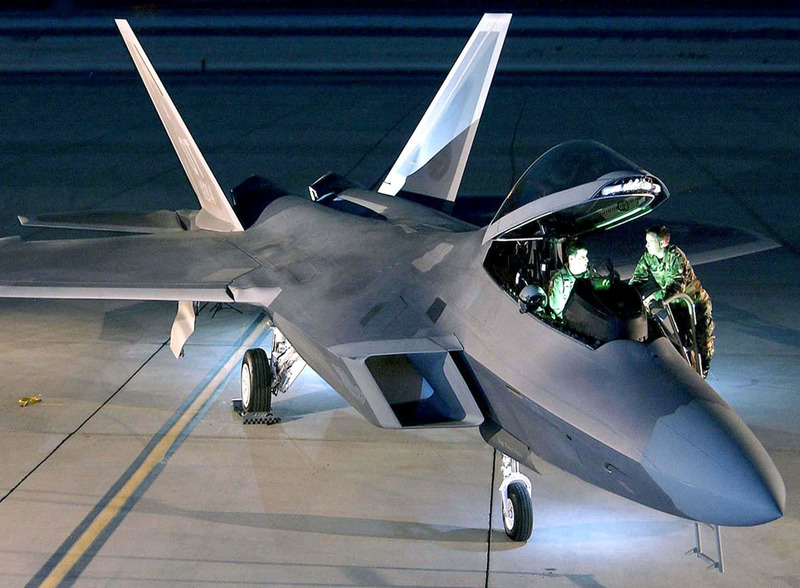 F-22s may yet fly on what are known as “national security directed missions,” but otherwise the high-tech stealth jet might as well be an expensive brick. Here's hoping the mysterious problem is cracked very soon indeed. However, all that doesn’t stop the F-22 being a popular choice in the model world, and one of the best available is Hasegawa’s 1:48 scale release. Probably the most luscious elements of the assembled kit are the triple weapon bays. 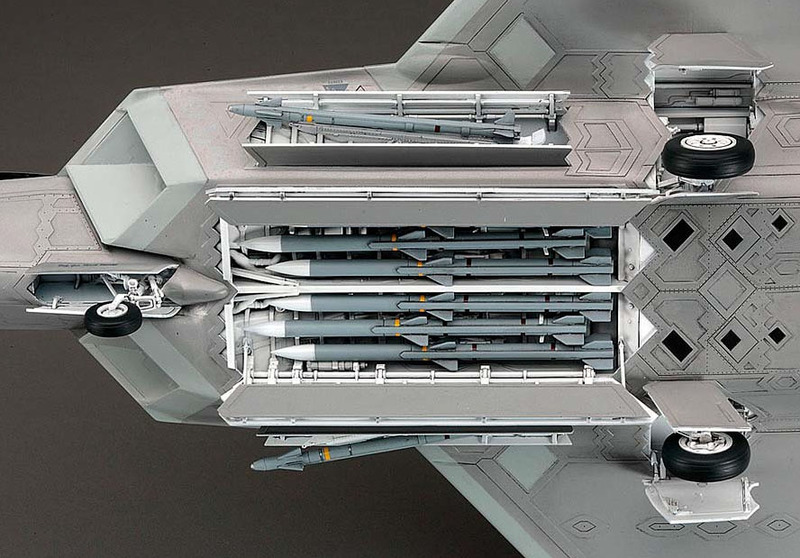 Being a stealth design, the F-22 has internal storage, as hanging ordnance under the wings would destroy the aircraft’s stealthiness, and Hasegawa really has gone to town with these features. 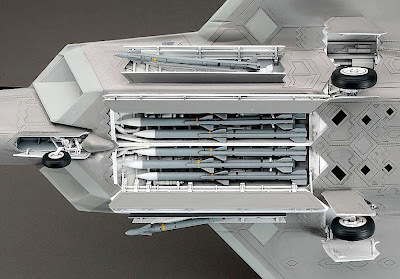 The ventral bay can be packed with up to six air-to-air missiles, while two more poke out at the correct angle from the side bays behind the air intakes. The lift-up canopy is smooth and clear, with just a hint of the tint that marks out the real thing, and the cockpit is reasonably detailed. As ever, the finished appearance will depend on how much work you put in. 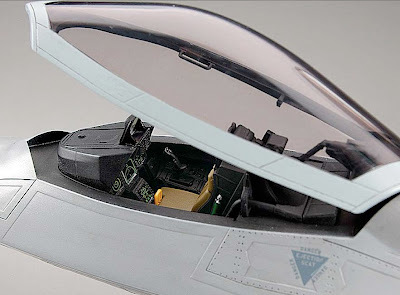 We particularly like the internal canopy frame, which has correct side-handle and other detail. 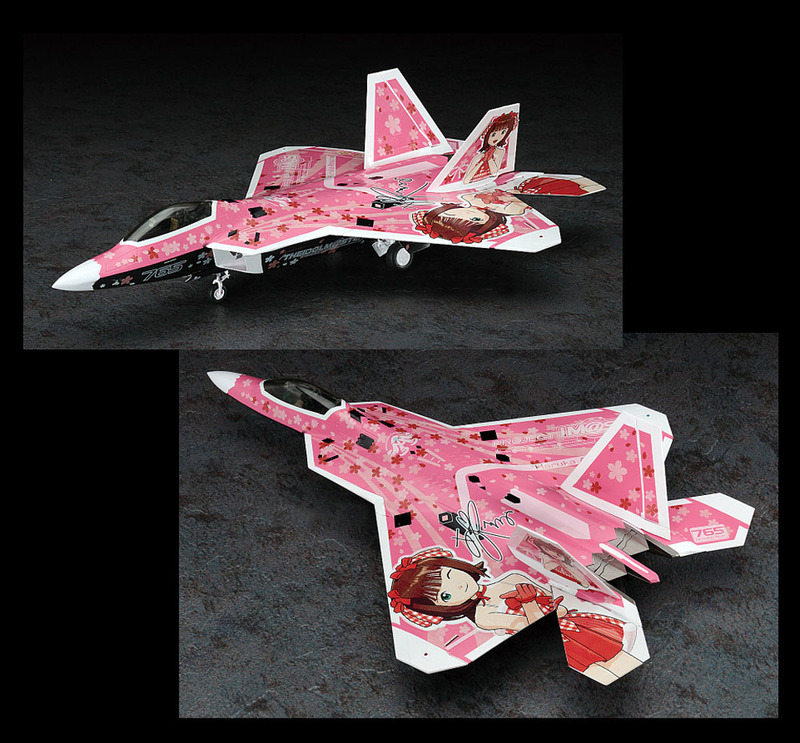 Nicely done, Hasegawa. 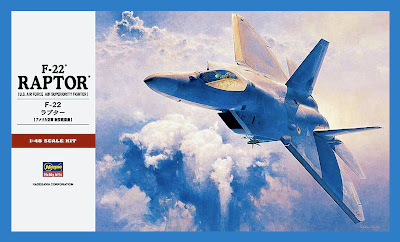 Panel detail is appropriately fine, as this is a stealth fighter after all; Hasegawa’s publicity pix show quite a bit more emphasis than in the real thing, but for a model, this is perhaps no bad thing - it certainly adds visual interest to what is a very plain-Jane colour scheme. 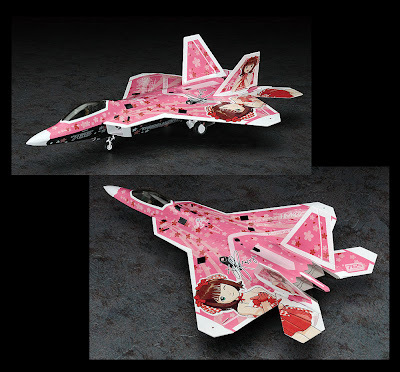 Mind you, if it’s wango-tango markings you’re after, then you should head off to another Hasegawa range, the Idolmaster series (officially, it’s iDOLM@STER), linked to a Namco Bandai anime creation for the XBox and other game machines. In the real world, it’s unlikely to be possible for such markings to be applied directly to stealth-type materials, but if you like pink - and something very different on the display shelf - then here’s your stick of bubble gum!